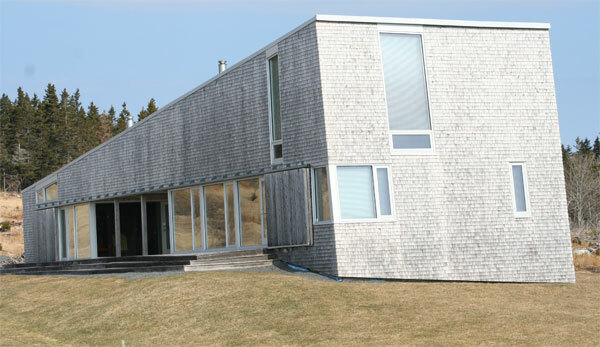 Brian Mackay-Lyons is a Canadian architect best known for his design of houses on the coast of his native Nova Scotia. 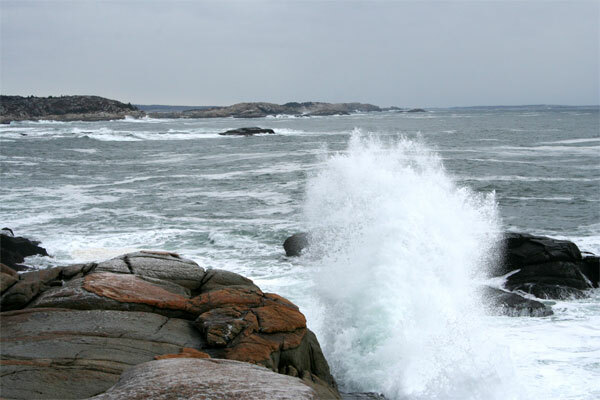 The Nova Scotian landscape is one of wide-open skies and rugged terrain pushing up against the Atlantic. 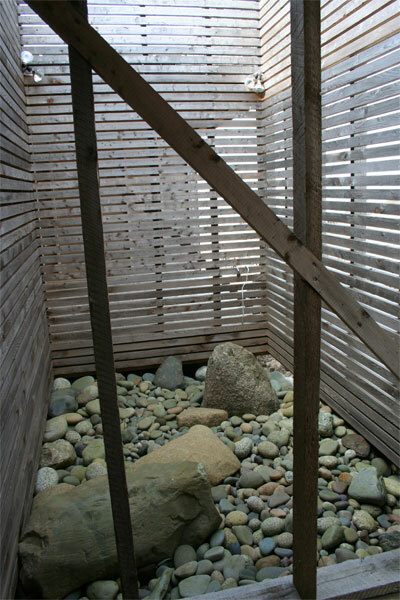 MacKay-Lyons’s work responds to this unique topography and to the vernacular building traditions that define its communities. 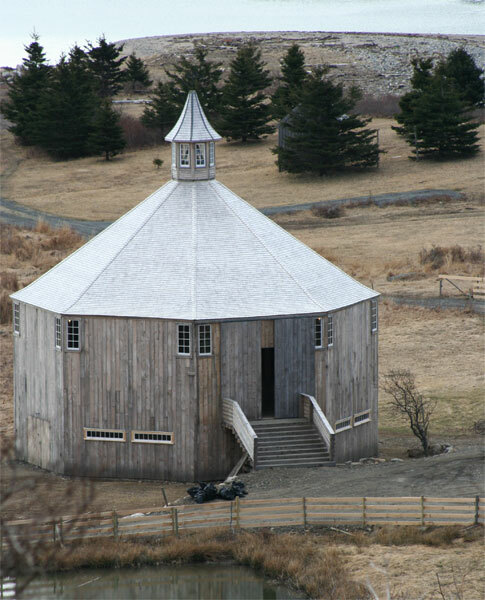 His buildings, with peaked gables, shed roofs, and sliding doors are inspired by local barn types. 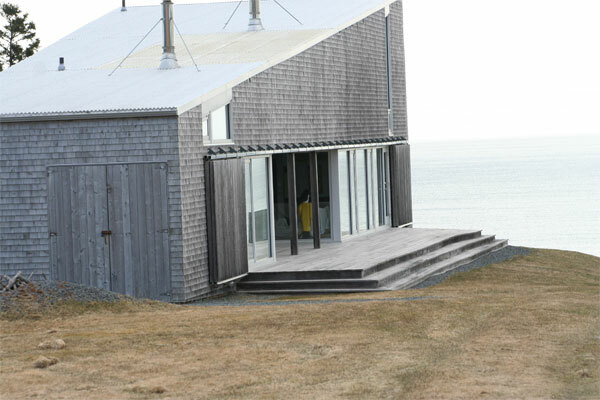 He uses corrugated metal cladding as is used in the area’s fishing industry; structural wooden frames based on local ship-building traditions and layers of shingles as cladding which adjust to the wet-dry, freeze-thaw cycles of Atlantic Canada. 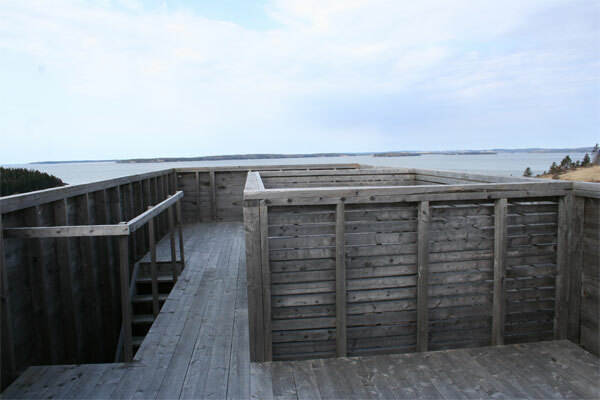 We often walk near the family farm at Kingsburg and Hirtle’s Beach and last week-end we took some photographs of his impressive designs. We have always been intrigued by this building that looks as if it is sliding down the hillside and have just discovered it is called the ‘Sliding House’. 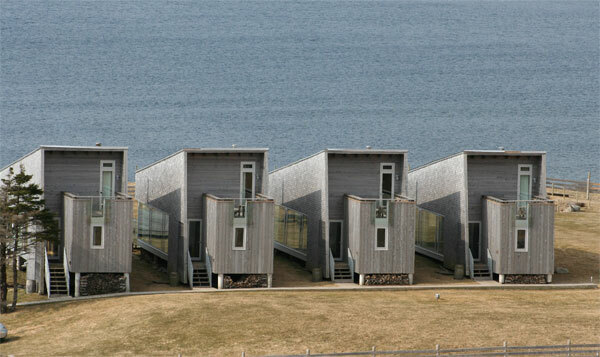 To the south, a ribbon window opens to the sunlight and the view of the meadows and the ocean. 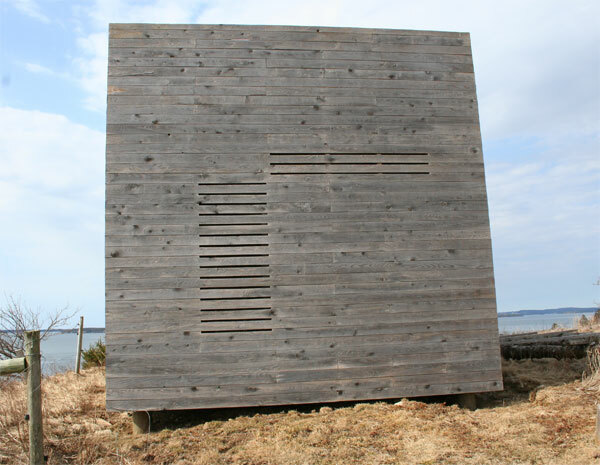 The structure is in wood, the external walls entirely covered with a continuous skin of corrugated sheet metal. Mackay-Lyons states that not everyone will like it immediately, but he hopes they will in time. 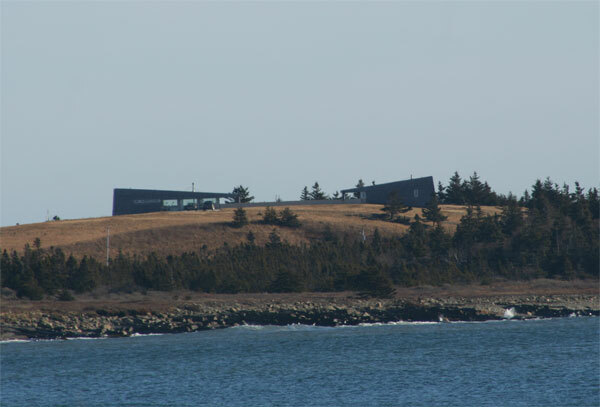 “It is testing the limits of being historic in a very modern and abstract way.” I am beginning to understand this building a bit more but am not totally convinced that the metal is sympathetic to the landscape. The next house along the track is another wedge shape, but this time it is clad in shingles, an exterior I much prefer. Again, the main windows look out to the ocean. 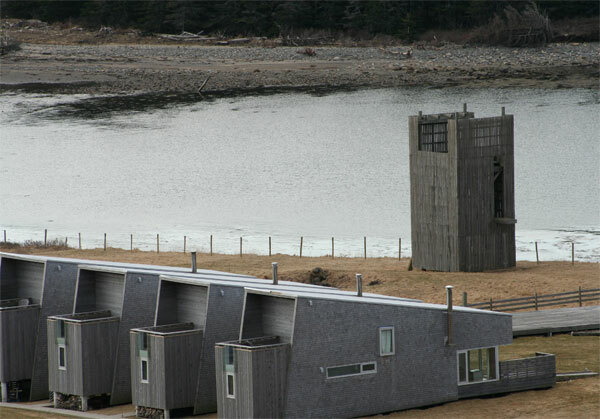 Below these buildings, at the shore, are the main buildings of Shobac, named after the original land granted to Christian Shoubach. 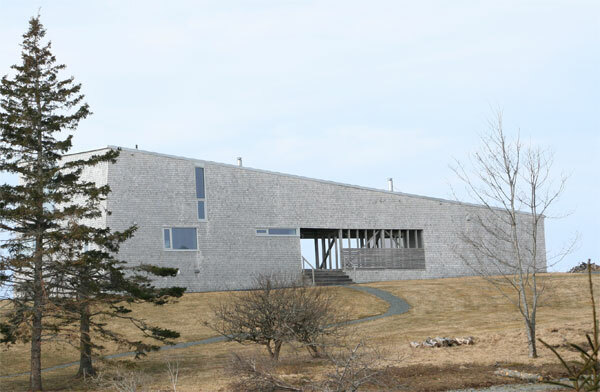 This is where Brian Mackay Lyons holds a summer school called the Ghost architectural Laboratory, which is designed to promote architectural knowledge through experience. Here the students build projects on top of the 400 year old ruins of the village, often using materials from old buildings. You can find out more at the Shobac web site. This 19th Century barn was rescued from Annapolis and reconstructed at Shobac. It is octagonal and post and beam construction and I think the old mixes well with the new. The tower behind the cottages, is one of the summer projects. This is an interesting shelter. 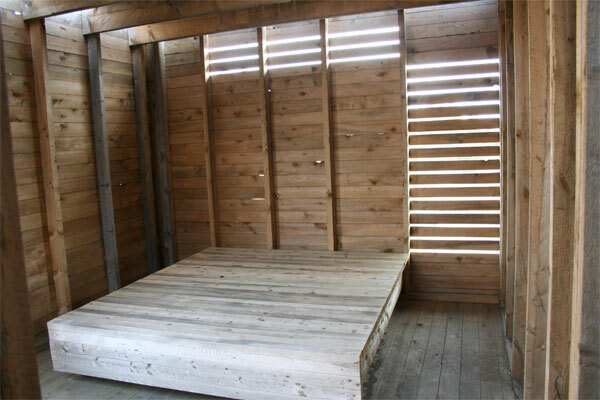 Inside there is a sleeping platform as well as a seating unit. 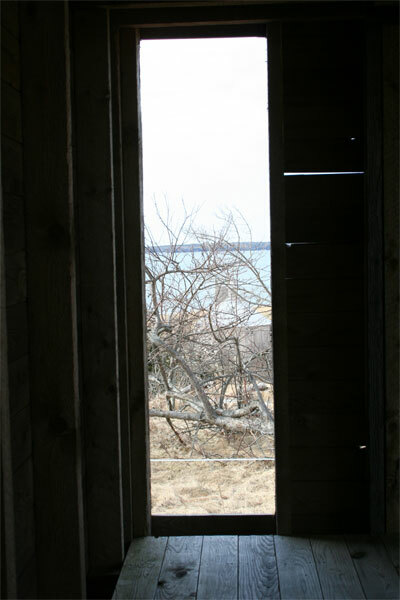 A tall, narrow window gives a view of the ocean. 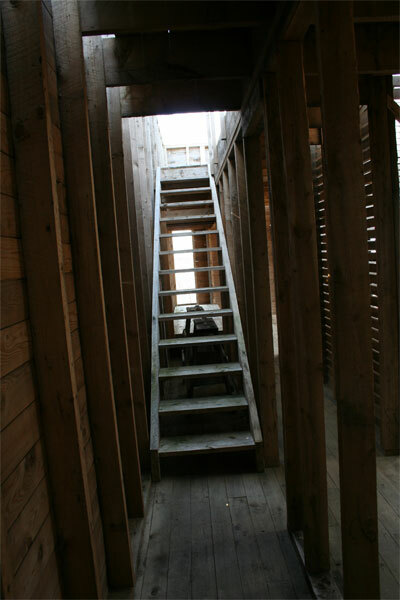 A stairway leads to an open roof. There is an internal garden. And fantastic views. All that is needed for an impressive house. Another very special building is Hill House. 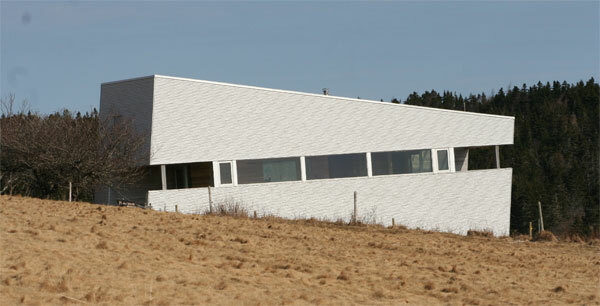 This house comprises of 2 wedge shapes, one being the family home, the other the guest wing. You can watch Brian Mackay-Lyons talk about his ideas in this video.